Women represent 80% of purchasing decisions today. Therefore, brands are more and more interested in knowing how to address them. We wrote an article on the subject on the blog Womenology as part of a study on gender marketing, and more specifically on marketing to women. “How will Brand Culture change how we manage brands ? 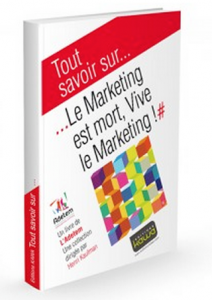 ” is the title of the chapter written by Daniel Bô and Pascal Somarriba in the soon to be published book Marketing is dead, long live marketing! Today, content become destructured, more complex and reorganize. They are exchanged and popularized. They have become an essential raw material – sometimes expensive – of a digital industry craving for new resources. At the same time, we are told that there is a reading crises and that the newspaper, magazines and music industries and threatened. Yet, never has the public consumed so much content, and on so many different media. This is therfore not a crisis in demand, but a profound change of business models. That’s what Content revolution is about. 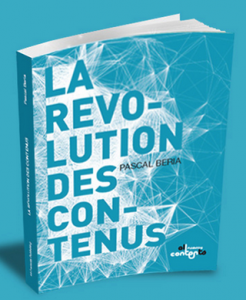 QualiQuanti participated in this publication with and interview on “digital revolution”. Social media and B2C are a hot topic, maybe even to hot a topic, as real opportunities are in fact more often found in BtoB. However, entrepeneurs and marketers appear to be reluctant, as if communicating with clients and prospects through social media wasn’t serious enough for them. 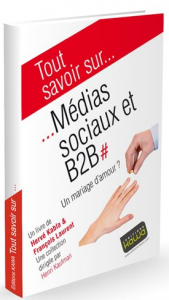 By acting that way, they are missing out on many new sources for business : it is great time today to reconcile B2B and social media. The chapter to which QualiQuanti contributed is called “BtoB Brand Content and social media”. As part of writing our book “Brand Culture” , various brands’ cultural worlds were analysed, among which those of Citadium, Oasis, Repetto, Ladurée, Mariage Frères, Pierre Hermé, Desigual, Monoprix, etc. You can also access the LOCAL column on brand locations around the world : Baccarat resort, Alain Milliat, MIcrosoft and Les 2 Vaches’ restaurants, the Bulgari, Moschino, Cheval Blanc, Casa Camper, Yves Rocher, and Pantone hotels, the Gucci, Carlsberg, Heineken, and Swarovski museums, the Volkswagen, Legoland, Coca-Cola, and M&M’s theme parcs, the Agnès B, ING Direct, Polaroïd, and Kousmichoff coffee shops, and many other innovative new flagships.